We have outlined the benefits of using a steel shipping container for your cargo whether it's for shipping or storage! Stop researching and start using steel now! All across the country, the steel shipping container is growing as a way to expand space and make more out of industrial, entertainment, and business districts. Steel shipping containers are multipurpose and sturdy objects that allow you to keep objects safe and send them all around the world and back. If you're interested in investing in one of these containers, there are a lot of reasons to think about getting one today. Here are five reasons to buy a shipping container today. When it comes to storing the most products or materials that you can, nothing beats steel containers. These containers are usually massive and offer a lot of space for storing a significant number of items. You can fill them to the brim and only make everything inside more secure. Items in steel are protected, so they can be stored for as long as necessary. Since the price doesn't go up by much as you increase the size of your container, you can get a larger container and continue adding to it for a while. You can get one as soon as you start your business and continue adding to it as you grow. You can adapt and change as a business, storing office furniture or landscaping equipment as you grow your business. Some seasons or some years will require you to have more and other years will require less from you. If you have a lot of documents related to your business, you have more storage than you could ever use in a space like this. Whether you plan to digitize or want to keep your documents after you do, this is a great route to go. High-quality steel shipping containers allow you to never think about security. They're built to last for decades, with a sturdiness that's unmatched by other materials. While they often come with a locking mechanism, you can add your own for an additional layer of security. These storage containers are meant to protect the items inside of them all year around. You can place items inside and lock them without having to give them a second thought. Most storage containers have the ability to be modified to your specifications. If you have higher security needs or demands based on the types of items you store, then you can make changes easily. Most storage companies either offer this service or pair with a service that does. When you choose a steel storage container, you'll have endless peace of mind that your items are secure. While you might worry about bad weather or changing the climate that allows for unforeseen events to occur, you have nothing to worry about with steel containers. Steel containers are great for shipping or storage and can be used for decades without any worry. Even if they're damaged on the exterior, it's rare they suffer a breach. Give your shipping containers regular maintenance and you'll find that they can easily last for 20 years. If you keep it clean, secure and free of rust, it could last even longer. The biggest issue is that it might end up seeing rust and suffering from a hole in the exterior. If this happens, you can either have it patched or get it repaired. Using any other material could leave you stressed out whenever a storm hits. You'll be thinking so much about moving or storing your items that you'll waste valuable time that could be spent building your business. There's no reason to think twice about any weather event or any normal seasonal changes if you're using durable steel shipping containers. While having everything in one place and having a secure place to keep them is great, steel containers provide a second benefit. They're often built ready to be shipped across the world at a moment's notice. If you or your company needs to relocate, you can save on moving costs by starting off with a steel shipping container. Moving a company is a costly and stressful affair. If you're not using a durable shipping container, the process will be all the more stressful. You can ship items very easily when you own your own steel storage container. They can be easily loaded and unloaded onto cargo planes and ensure that they get to any destination in the world. All you have to do is to engineer the pick-up and drop-off and you'll be able to serve customers across the globe. One of the great things that you can do with a steel shipping container is to expand the options that your business has. Every business has the need to expand, add services, or try new things. With your shipping container, the sky's the limit. If you're looking for a refrigerated space, you can customize your steel shipping container with the help of an HVAC specialist. You might be able to get a steel container that's already equipped with what you need. For companies that are limited in space, adding a shipping container won't give you extra workspace, but it can help. Your container could give you someplace to store clutter while you work on your expansion. With the help of a container, you could end up growing beyond your wildest dreams. If growing and expanding your business is your number one priority, then you should invest in steel containers today. The only way to know what one can do for your business is to buy one today. 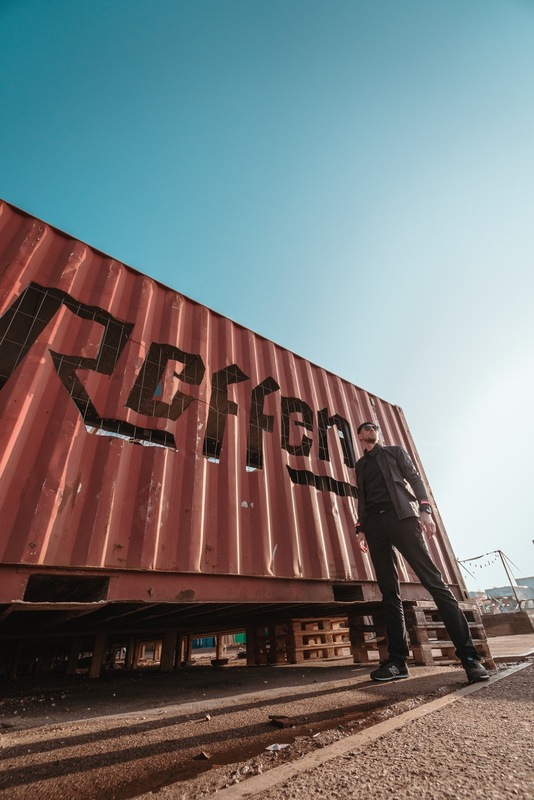 If you're using steel shipping containers as a creative way to start your real estate business, check out our guide for tips.